This gift is perfect for all of your coffee loving besties! 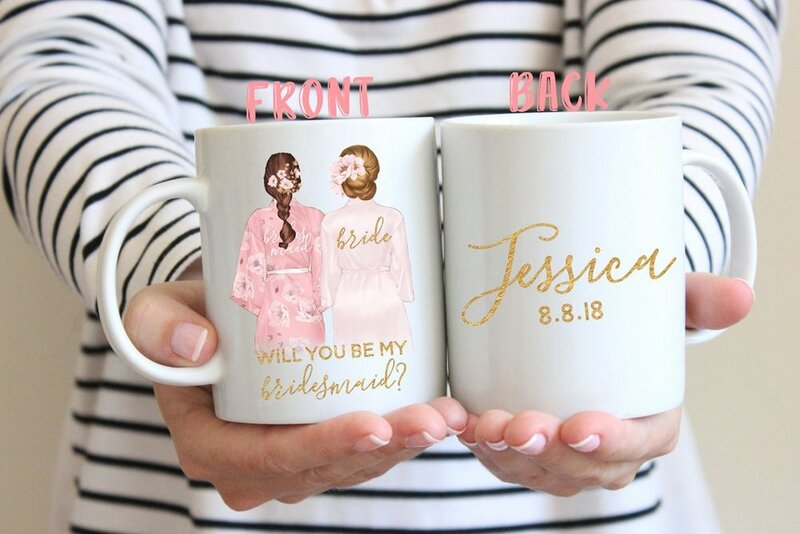 The coolest part is you can customize the mugs by choosing different hair colors and styles. Since I knew I wanted to gift a mini bottle of champagne with each propsoal, I was so close to choosing these custom flutes! The font is so pretty and you can choose your color. 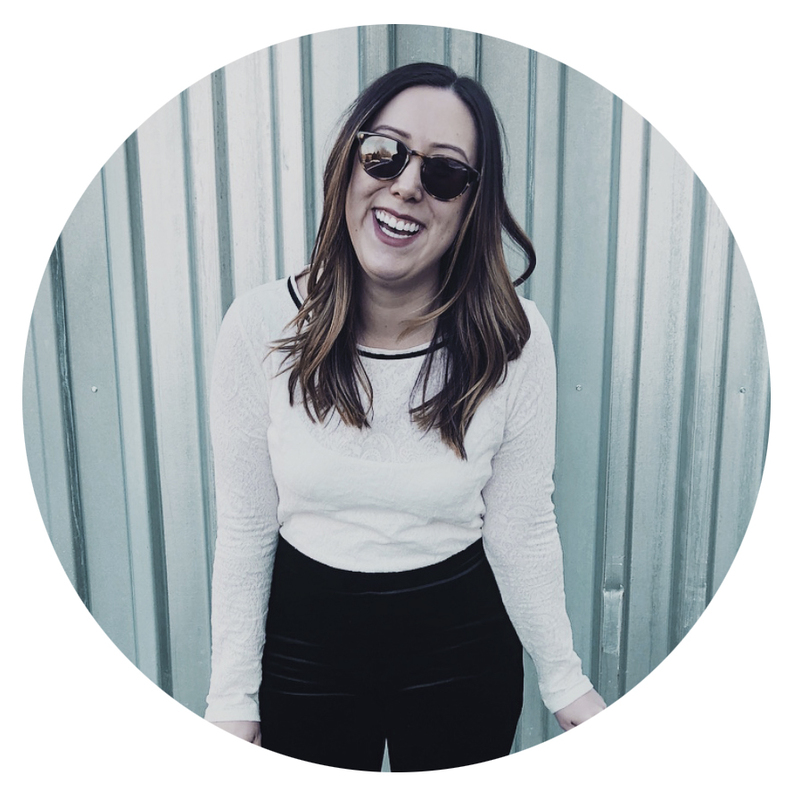 I ultimately chose to gift a picture frame, because it felt very personal to me. Me and my friends grew up taking pictures together, so it was a blast looking through old photos to choose the winner. These frames are lined with gold which matches the theme of my wedding, plus they are very affordable. 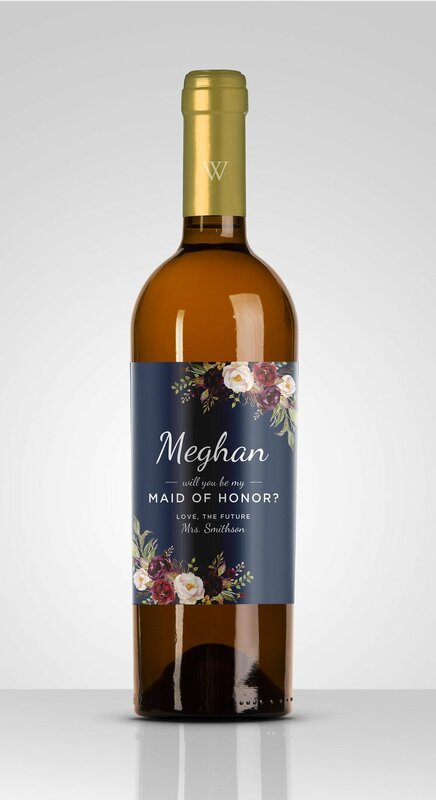 A custom wine label, wine not? This is how my sister proposed to me to be her maid of honor! Bonus points if you put it on her favorite kind of wine. These “tie the knot” bracelets are so fun and something I would actually want to wear. Each bracelet comes with a metallic notecard to write a personal note. 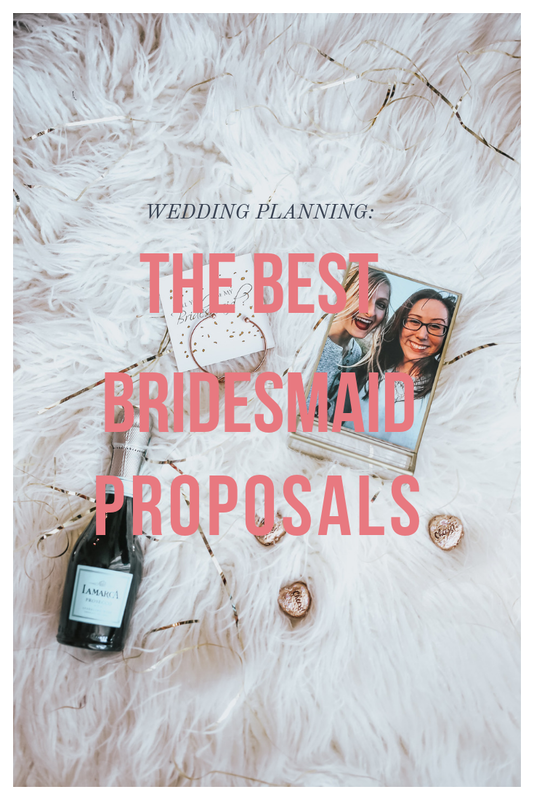 Or there is an option for a pink jewelry bag to hold the bracelet, that say I Can’t Tie The Knot Without You.” There are multiple bundles to purchase them in, depending on the number of bridesmaids. I sent these boxes to all of my girls and I’m so happy with how they turned out! 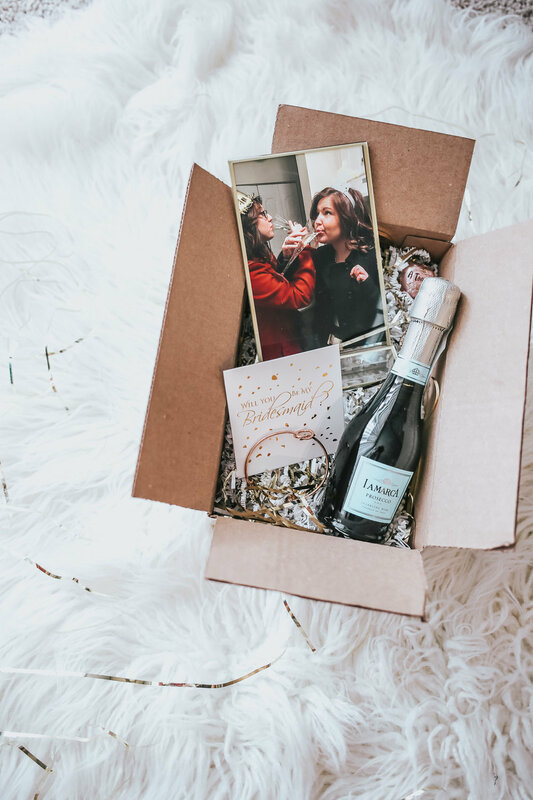 Top them off with confetti, champagne chocolates and your favorite bubbly and you’re good to go!